A new study from the Centers for Disease Control and Prevention shows that suicide rates are rising across the nation, but they're rising higher and faster in rural areas. The suicide rate has increased nationwide by more than 30 percent since 1999--or from 10.5 suicides per 100,000 in 1999 to 13.9 per 100,000 in 2016. Suicide rates in nearly half of rural counties increased by 30 percent or more over the same time period, but only 10 percent of the largest urban counties saw a similiar rate of increase. The Washington Post created an animated, county-level map that shows the suicide rate in all U.S. counties from 2005 to 2015. The map shows "considerable regional variation that gets missed in state-level suicide figures," Christopher Ingraham reports for the Post. "Suicide rates in northern Florida and California, for instance, are considerably higher than in the southern parts of those states. Across the Deep South, counties with high proportions of black residents have lower rates of suicide than surrounding areas. 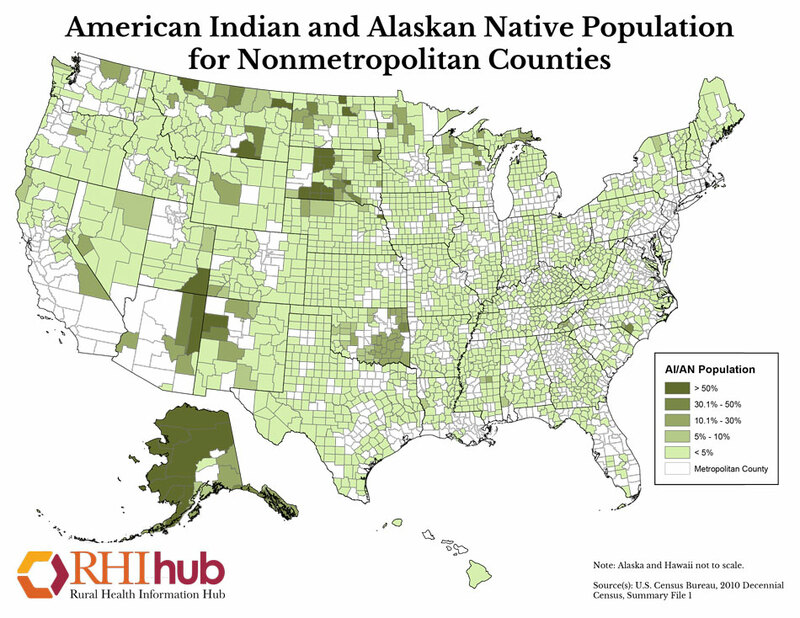 Suicide rates tend to be lower in counties with large Hispanic populations and higher in counties with large Native American populations." Research has already shown that particularly high suicide rates in rural mountain areas of western states are caused by factors such as easy access to guns, high rates of drinking and drug use, econonic conditions, and "a culture of self-reliance that deters some people from seeking help in times of crisis," Ingraham reports." Rural areas want to attract more workers, but the lack of available housing is putting a damper on such efforts. "Fewer homes are being built per household than at almost any time in U.S. history, and it is even worse in rural communities," Shayndi Raice reports for The Wall Street Journal. "Developers in less populated areas can’t tap into the economies of scale available in urban centers, making materials and labor more expensive. Rural areas are also seeing their populations stagnate or decline as younger people opt for urban living, adding to the gamble involved in speculative building." Competition for housing sometimes drives up the prices on available houses beyond what local wages can easily support. "It’s a pretty simple equation," Lance George, director of research for Washington, D.C.-based Housing Assistance Council, which works on affordable housing in rural communities, told Raice. "The incomes in this country have not really matched housing prices so you continue to have this disconnect." Some towns and states are getting creative in solving the problem. Nebraska recently gave rural communities $7 million to build affordable housing to attract more workers. And Newton, Iowa, took out $3.7 million in bonds to fix up dilapidated homes and encourage local development, Raice reports. Since Newton began the initiative in 2014, new housing has increased dramatically: 50 new housing permits have been issued since 2014, up from only eight from 2011 through 2013. Nearly 1 in 4 rural children grow up in poverty. In absolute numbers, that means 11.8 million children in poverty live in urban areas, and 2.3 million live in rural areas. Child poverty rates are 19 percent in urban areas with a population of 50,000 or more, 23 percent in rural areas with populations of 10,000 to 49,999, and 25 percent in rural areas with fewer than 10,000 people. Rural childhood poverty rates have been persistently high for at least three generations. 6.1 million children in poverty live in the South, 3.2 million live in the West, 2.7 million live in the Midwest, and 2.0 million live in the Northeast. Rural children were disproportionately affected by the Great Recession from 2007-2009. Poverty rates are highest for children in single-parent families, especially those with single mothers. Children under the age of 6 are the most vulnerable to rural poverty. Most poor rural children are white, but rural poverty rates are highest among black children. Disabled children are disproportionately poor, especially in rural areas. 1.2 billion children in the world are at risk of experiencing at least one childhood-ending event; the United States ranks 36th in the world for child poverty, between Russia and Belarus. "President Trump on Thursday imposed tariffs on imported steel and aluminum from the European Union, Canada and Mexico, triggering immediate retaliation from U.S. allies and protests from American businesses and farmers," David Lynch, Josh Dawsey and Damian Paletta report for The Washington Post. The European Union responded by saying it would follow through on threats to impose tariffs on American-made products from politically strategic areas, like bourbon from Senate Majority Leader Mitch McConnell's home state of Kentucky and Harley-Davidson motorcycles, which are popular in Europe. Mexico said it would impose tariffs on American pork bellies, apples, cranberries, grapes, some cheeses and types of steel. Canada said it would impose $12.8 billion in tariffs on American steel and aluminum, along with coffee, candy, quiche and pizza. Canada also rejected a U.S. ultimatum to renegotiate all North American trade deals every five years. "Mexico's retaliatory tariffs target pork legs, apples, grapes and cheeses as well as steel - products from U.S. heartland states that supported Trump in the 2016 election," report Michael O'Boyle and Frank Jack Daniel of Reuters. Economist Douglas Irwin, author of a history of U.S. trade policy since 1763, told the Post, "It’s more than highly unusual. It’s unprecedented to have gone after so many U.S. allies and trading partners, alienating them and forcing them to retaliate. It’s hard to see how the U.S. is going to come out well from this whole exercise." With the steel and aluminum tariffs looming, some businesses with government protection have added jobs, but other industries such as chemical manufacturers, brewers, footwear makers and auto manufacturers say the jobs lost because of the tariffs will outweigh the jobs saved or created. "This is dumb. Europe, Canada and Mexico are not China, and you don’t treat allies the same way you treat opponents," Sen. Ben Sasse (R-Neb.) said. "We’ve been down this road before — blanket protectionism is a big part of why America had a Great Depression. 'Make America Great Again' shouldn’t mean 'Make America 1929 Again'." A new study digs into the consequences communities face when local newspapers go out of business, consolidate or reduce publication frequency. 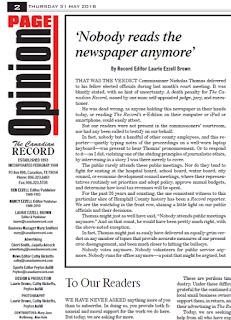 The picture it paints is bleak: "When local newspapers shut their doors, communities lose out. People and their stories can’t find coverage. Politicos take liberties when it’s nobody’s job to hold them accountable. What the public doesn’t know winds up hurting them. The city feels poorer, politically and culturally," Kriston Capps reports for CityLab. That poverty isn't just metaphorical. The study concluded that communities that lost newspapers saw increased government costs because there was less scrutiny of local-government deals and expenses. The authors studied the costs for municipal and revenue bonds issued by cities and found that borrowing costs can rise as much as 11 basis points (0.11 percent) three years after a newspaper closes. The average was about 6 points. The authors controlled for other factors like local economic conditions to isolate only the fallout attributable to the newspapers' loss. The study tracked 296 newspaper "exits" between 1996 and 2015, and surveyed 1,596 English-language newspapers serving 1,266 U.S. counties. It excluded the 1,863 counties without any local daily. An exit was defined as a local paper closing down, reducing its publication to fewer than four days a week, or being absorbed by or merging with another newspaper. The paper has been presented, but has not been published. "There are already papers that show that there are political consequences, or political outcomes, when local newspapers close," co-author Chang Lee, assistant professor of finance at the University of Illinois at Chicago, told Aamot. "But that’s not really a direct impact on local residents. We wanted to show that, if you look at the municipal bond market, you can actually see the financial consequences that have to be borne by local citizens as a result of newspaper closures." Floods on the Mississippi River, which are getting more frequent and severe, are worse because of the levees built to protect farms and small towns. "A series of analyses have helped confirm what engineers have posited for more than a century: that earthen levees built along the river are increasing flood risk for everyone, and especially hurting those who live across from them," Rebecca Hersher reports for NPR. Nicholas Pinter, a geologist and the associate director of the Center for Watershed Sciences at the University of California, Davis, explains the problem with levees: "What you're doing in many cases is taking a flood plain out there — it can be 5 [or] 6 miles wide — and you're forcing the water that would otherwise spread across that area to go through a narrow passageway." The water flows higher and faster as the passageway gets narrower, Hersher reports. The idea that levees could cause worse problems than they prevent isn't new; in 1852 an engineer's report to the federal government warned that levees on the Mississippi made the waters higher and faster. But after an epic flood in 1927, Congress required the Army Corps of Engineers to build a system of levees and dams on the Lower Mississippi, Hersher reports. A recent report found that more severe and frequent flooding over the past 150 years correlated with levee-building. Residents near levees can face disastrous consequences if a flood breaches a levee, since they're less likely to have enough flood insurance. The federal government doesn't require homeowners living behind levees to carry such insurance. Likewise, farmers living behind levees are less likely to adequately insure their fields. A Federal Reserve Bank study last year on the nation's economic well-being uncovered a surprising statistic when researchers began asking questions about opioid usage: One in five adults in the U.S. personally knows someone who has been addicted to opioids or prescription painkillers. "This startling figure reveals the reach of the crisis, and explains why it has been declared a national emergency. The Fed also wanted to assess how opioid addiction links to economic wellbeing—specifically, if the increase in addiction is part of what Princeton economists Anne Case and Angus Deaton call deaths of despair," Eshe Nelson and Dan Kopf report for Route Fifty. Case and Deaton believe that groups facing hard times, like blue collar whites, are more susceptible to addiction-related deaths, an argument supported by the study's finding that whites and those with no college degree are more exposed to the opioid epidemic than ethnic minorities and college graduates. The "deaths of despair" hypothesis wasn't supported by the study's findings: over half of the people surveyed think their local economy is good or excellent, though that number is slightly lower (though still over 50 percent) among people who knew someone addicted to opioids. "This implies that the roots of the opioid crisis aren’t obviously linked to economic conditions in places where the addiction rate is high," Nelson and Kopf report. "But perceptions of economic well-being shouldn’t be dismissed just because they don’t align with the data." California, Maryland and New York have filed suit in federal court in New York City against the Environmental Protection Agency and Administrator Scott Pruitt for slowing the implementation of Obama-era requirements for farmers to provide more pesticide training for employees who handle pesticides. The suit alleges that the EPA's delays harm hundreds of thousands of farmworkers and their families, Chris Clayton reports for DTN/The Progressive Farmer. The rules were updated in 2015 for the first time in 25 years and included such provisions as requiring pesticide handlers to be at least 18 and educating farmworkers on pesticide residue that could cling to their clothes and harm children who came into contact with the clothes. The 2015 rule change had more than 393,000 supporting signatures and 2,400 comments. The lawsuit, filed Wednesday, says EPA delayed publication of new training materials and in doing so, indefinitely delayed compliance deadlines for the new safety-training rules. "EPA did so even though it had the new training materials on hand and ready to make available," Clayton reports. "EPA announced its decision with a notice in the Federal Register and added that EPA also intended to reconsider other aspects of the rule." "A coalition of ethanol and farm groups sued the U.S. Environmental Protection Agency on Tuesday, challenging its decision to free three refineries, including one owned by billionaire investor Carl Icahn, from annual biofuels requirements," report Chris Prentice and Jarrett Renshaw of Reuters. The lawsuit, filed in the 10th Circuit U.S. Court of Appeals in Denver, targets three waivers given to refineries owned by CVR Energy Inc. and HollyFrontier Corp. Icahn holds a majority stake in CVR. Refiners must blend increasing amounts of biofuels such as ethanol into the national fuel mix each year under the Renewable Fuel Standard, but the Environmental Protection Agency recently attempted to do away with the requirement in an attempt to appease oil-producing states. But the move landed the administration in hot water with corn states and President Trump announced that biofuel levels would not change. The EPA can issue waivers to small refiners if adhering to the RFS would cause undue economic hardship. Such waivers were seldom granted in the past, but a successful lawsuit by Sinclair Oil Corp. last year made the EPA broaden its definition of "economic hardship," which has led to far more waivers. Ethanol and conservation groups fear the waivers are a backdoor way for oil companies to get around the RFS without causing more trouble with corn-state politicians. "Virginia is on the verge of expanding Medicaid after years of partisan battle," Alan Suderman reports for WRC-TV in Washington, D.C. "The GOP-controlled General Assembly is set to pass a state budget Wednesday that's expected to expand Medicaid eligibility to about 400,000 low-income adults." The House has already passed legislation expanding Medicaid to people in households with incomes up to 138 percent of the federal poverty level, "and Democratic Gov. Ralph Northam is a strong proponent," Suderman reports. "Wednesday's upcoming vote will mark the end of a more than four-year battle over expanding the publicly funded health care program for the poor in Virginia. The fight led to a standoff over the state budget in 2014 and again this year." Virginia will become the 33rd state to expand Medicaid under terms of the 2010 Patient Protection and Affordable Care Act. A petition has been certified in Utah for a referendum on the issue there, and a petition in Idaho is nearing certification. UPDATE, June 4: Montana will have a referendum Nov. 6 on extending its Medicaid expansion, which if not extended will expire in 2019, reports Sara Kliff of Vox. The Senate Agriculture Committee is finalizing its draft of the Farm Bill, and if Majority Leader Mitch McConnell has his way, it won't include work requirements for food stamp recipients but will legalize hemp production. McConnell told The Wall Street Journal last week that "the Senate bill doesn’t need to expand work requirements for able-bodied adults who participate in the Supplemental Nutrition Assistance Program, a key feature of the farm bill that Republicans are struggling to push through the House," Philip Brasher reports for Agri-Pulse. In addition to the work issue, the Senate bill has two key differences with the House bill, which recently failed to pass because of a dispute about immigration. "The Senate bill would keep the Conservation Stewardship Program in operation and contain an energy title to fund assistance for renewable energy, biorefinery projects and other priorities," Brasher reports. "The House bill would eliminate both CSP and the energy title and would provide no mandatory funding for energy programs." McConnell told Agri-Pulse last month that he will try to bring the bill to the floor as soon as it clears the committee, which he hopes will happen before the end of the summer. The bill still has a ways to go before that happens, with committee members hashing out issues such as debated changes to crop insurance. Because the Senate is in recess this week and the Congressional Budget Office has not finalized the bill's cost estimates, the week of June 11 is likely the earliest the bill could pass out of committee. 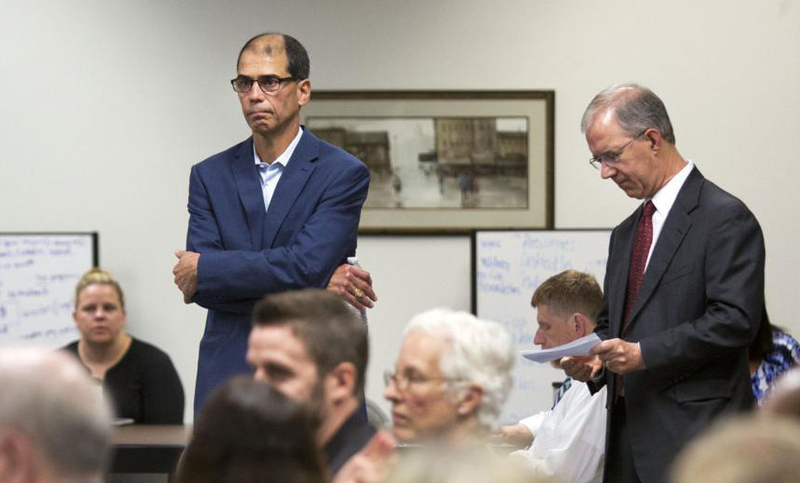 The Batten family's sale of The Virginian-Pilot in Norfolk, announced yesterday, will have no effect on its chain of more than 50 community newspapers, the president of the Kentucky-based community group told The Rural Blog this morning. Mike Abernathy, president of Landmark Community Newspapers, said the group remains for sale, with other Batten properties, and will eventually sell, but is "not being actively marketed." The papers are weeklies, except The News-Enterprise in Elizabethtown, Ky., and the Citrus County Chronicle in Crystal River, Fla. The Virginian-Pilot, including its real estate, was bought for $34 million by Tronc, which owns the Chicago Tribune, the Orlando Sentinel, the Baltimore Sun and the Daily Press of Newport News, Va., in the same metropolitan area as Norfolk. In a press release, Landmark Media Enterprises General Counsel Rusty Fridell said, "In order to most effectively continue its important work, The Virginian-Pilot must have the benefit of the resources of a large organization." Landmark put itself up for sale more than a decade ago, and has sold in pieces. It sold The Weather Channel to NBC Universal for $3.5 billion, and later sold the Greensboro News and Record and The Roanoke Times, to BH Media Group, owned by Warren Buffett. "The Virginian-Pilot is Virginia's largest paper with Sunday circulation of 132,000," notes Rick Edmonds of the Poynter Institute. 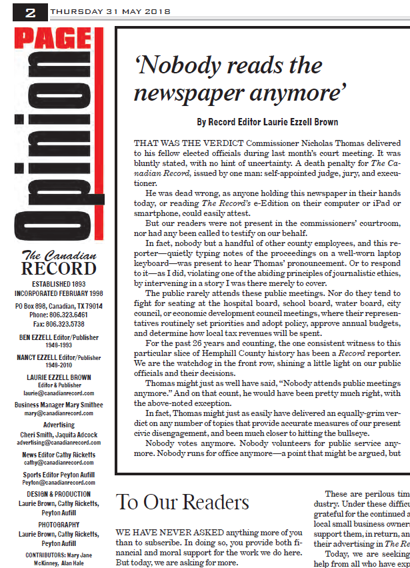 "The sale leaves Tronc and BH Media, which also owns the Richmond Times-Dispatch, as the two big local news players in the state." Twin calves are pretty common, and triplets are not unheard of, but last week a cow on a farm near Sebeka, Minn., gave birth to quadruplets. The two male and two female calves lived and are thriving. 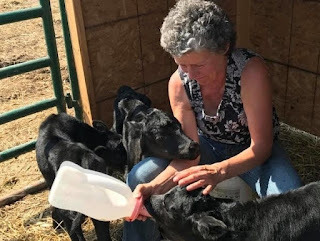 The odds of quadruplet calves are rare enough at 1 in 700,000 births, but the odds of a quad birth with all surviving are 1 in 11.2 million, Nina Moini reports for Minnesota Public Radio. The owners, Deb and Chuck Beldo, shared pictures of the calves on Facebook and said they are all small but doing well. The Beldos are no strangers to farming: their farm is an official Minnesota Century Farm, and has been in the family since 1882. But even with their experience, the family didn't realize the cow was pregnant with quadruplets. Their daughter, Jamie Belz, told MPR that "Mom had noticed she was large, but didn't think too much of it" especially since the cow had had twins earlier this year. The family is taking suggestions for names on Facebook. After decades of abuse from politicians, especially in recent years, respect and regard from them is especially welcome. 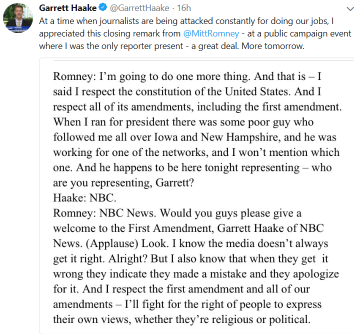 Mitt Romney, running for senator from Utah, paid tribute to journalism over the weekend, as related on Twitter by Garrett Haake of NBC News. 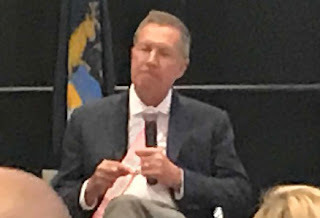 And another Republican who doesn't care for President Trump had similar thoughts at this month's Michigan Press Association convention, as reported by Kevin Slimp on his State Of Newspapers site. "Of all the speeches given by all the politicians at press conventions I attended this year, the best, in my humble opinion, was given by Gov. John Kasich of Ohio," Slimp writes. "There was something different about this guy. He spoke of his previous stint as a journalist." "He had no prepared speech. No notes," Slimp reports, "He jumped right in, immediately discussing the importance of journalism and a free press. "He spoke of the need to get back to increased investigative reporting," Slimp reports. "He talked of giving the reader something worth reading. According to Kasich, it’s about the story. Speaking of writing a new future for newspapers, he forcefully said, 'This industry will be saved by writing interesting stories.' Honestly, I don’t get excited about politicians. I guess I’ve just met too many of them in my time. But I couldn’t hold my enthusiasm any longer." Slimp concludes, "I long for the day when everyone in my industry has the same passion for journalism as John Kasich expressed in May in Lansing, Michigan." The departments of Labor, Agriculture, State and Homeland Security will modernize the H-2A visa program that brings in foreign farmworkers, Agriculture Secretary Sonny Perdue said Thursday. Farmers have been struggling to find enough workers since the Trump administration cracked down on illegal immigration; more than 55 percent of California farmers surveyed in March said half their land is going untended because of the shortage, Kartikay Mehrotra reports for Bloomberg. Perdue said the H-2A overhaul is meant to streamline the process and make it easier for farmers to find legal immigrant labor, while safeguarding employment and wage protections for American citizens. Reducing the programs complexity will hopefully give farmers more incentive to use the E-Verify program, he said. However, it's unclear exactly how the administration plans to execute the update. "The announcement comes as the House of Representatives is planning to vote on possibly multiple immigration bills in June," Jerry Hagstrom and Chris Clayton report for DTN/The Progressive Farmer. "One bill, led by Judiciary Committee Chairman Bob Goodlatte, R-Va., strengthens immigration enforcement but also overhauls the H-2A program, including moving it from the Department of Labor to USDA." 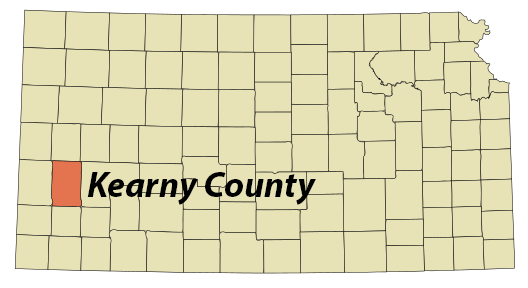 Four years ago, the Kearny County Hospital in rural Kansas was struggling. Patients had to be turned away because there weren't enough doctors to treat them, and the maternity ward was losing $100,000 a year. For Lakin, a town of 2,200 that's one of the nation's most remote, hospital expenses were unsustainable. The usual solution in such cases is to stop delivering babies, but the county commissioners wanted to try something different, and their gamble paid off, Lisa Rab reports for Politico. First, they hired an innovative young CEO, 38-year-old Ben Anderson. He attracted talented new doctors who wanted to deliver babies in developing countries, telling them they could do that in Kansas by serving the immigrants and refugees who worked at a nearby meatpacking plant or on farms. After the new doctors came, Anderson got grants to upgrade the hospital and bring in a high-risk pregnancy specialist. The new equipment and doctors brought in immigrants and wealthier patients from nearby towns, and the increased hospital births (from 187 in 2014 to 327 in 2017) brought in more money: The hospital new serves about 20,000 patients per year, up from 10,000 in 2012, and generated $23.4 million in revenue in 2017. "In the span of five years, Anderson has turned the hospital into the county’s largest employer, with a profitable maternity ward that draws patients from as much as two hours away for its superior care," Rab reports. "I think it’s a huge success story," County Commissioner Shannon McCormick told Rab. "When you’re alive and thriving and all your neighbors are not—you’re doing something good." In the ongoing debate over school violence, the notion of arming teachers has been more popular than gun-control proposals in rural and conservative areas. But some insurance companies think armed teachers not only won't stop mass shootings, but will cause more accidents, and they're charging accordingly higher rates. Others are refusing to cover schools with armed teachers at all. That's why almost no teachers carry guns in the classroom in Kansas, even though they are legally allowed to do so, Todd Frankel reports for The Washington Post. At least 10 states have laws allowing instructors to carry firearms, and 17 more have considered similar bills since the Parkland, Fla., shooting. Some of those bills failed once legislators found out how much it would cost to insure schools. "The reaction of insurance companies is notable because they are supposed to evaluate dangers through the dry eye of actuarial science, largely avoiding the heated emotions of the nation’s gun debate, in which one side condemns guns and the other side claims, as Texas Lt. Gov. Dan Patrick (R) did last week, that the best way to stop a bad person with a gun is a good person with a gun," Frankel reports. Insurers have reason to worry about increased costs: the 2017 Las Vegas shooting in which 58 concert-goers were killed could cost insurance companies more than $1 billion, according to the International Risk Management Institute. And the 2007 Virginia Tech shooting, with 32 dead and 17 injured, cost insurers at least $50 million for security upgrades and lawsuit settlement costs, said Paul Marshall of McGowan Program Administrators, Frankel reports. It's not just active shooters the insurers fear. "Reports of teachers caught bringing guns to school reinforce insurers’ concerns," Frankel reports. "In 2014, a sixth-grade teacher in Utah mistakenly shot a school toilet. No one was injured. Utah allows people with concealed-weapons permits to carry handguns on campus." Adding trained police or resource officers is more popular with insurers. 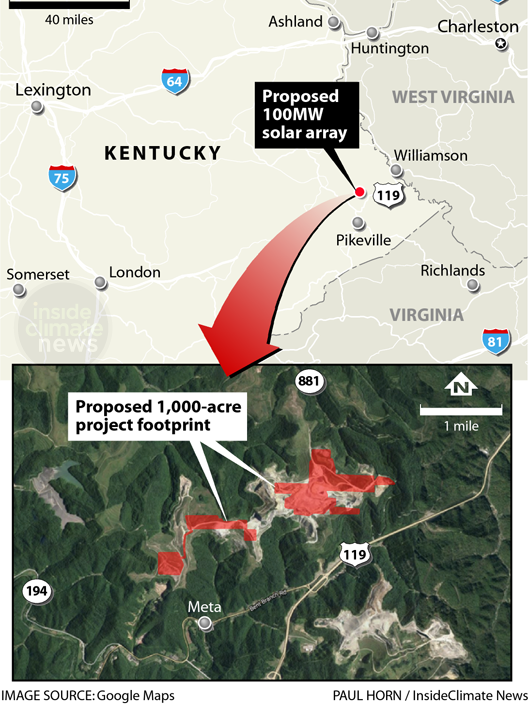 Plans by EDF Renewables to put the largest solar farm ever built in Kentucky on a mined mountaintop are in limbo because a coal company years behind in the cleanup that must come first, is dragging its feet. The $150 million project was proposed a year ago, and would be located on Bent Mountain in the state's easternmost county, James Bruggers reports for Inside Climate News. If the project is not ready to go in 2019 or 2020, the federal tax breaks for renewable energy projects begin to decrease, making it less economically feasible. "If Kentucky Fuel would do what they said they would do there wouldn't be a problem," Ryan Johns told Bruggers. Johns is one of the farm's developers and the vice president of Ross Harris Group, which comprises more than 30 companies that focus on coal, oil, gas, timber and real estate. One of those, Berkeley Energy Group, is a coal mining company that wants to diversify into renewable energy. Berkeley is getting the land ready in conjunction with Adam Edelen, a former state auditor who had the original idea and is handling finance and marketing, and EDF, an international solar and wind energy developer. "Four years ago, settling one of the largest enforcement actions in Kentucky's recent history, the coal company's owners promised state officials that they would compete a tangle of reclamation work spread over several counties by September 2015," reports Bruggers, former environmental reporter for the Louisville Courier Journal. "But the case has dragged on in court. It's a fight that involves one of the most powerful families in the region, headed by Jim Justice, the billionaire coal baron who is now governor of West Virginia." The cost of reclaiming a poorly reclaimed mine site is often subsidized by extra coal mined during the reclamation, and "Kentucky Fuel wants more mining to help pay for the work," Bruggers reports. "But it is not clear whether valid leases are in place for that approach. That, too, may have to be sorted out; if not, the state could issue a permit for reclamation only, but the work would be more expensive. It's unclear whether the costs of additional reclamation, and the possibility of paying for it with more mining, would materially affect the solar farm's construction costs." For the past century, the Migratory Bird Treaty Act has made it illegal to hunt, catch, kill, possess, import or export any migratory bird, including its feathers, nests or eggs without the proper permit. But in late 2017 the Trump administration in effect changed the law, announcing that the U.S. Fish and Wildlife Service would no longer levy penalties for "incidental take" of migratory birds, Brittany Patterson reports for Ohio Valley ReSource, a public-media partnership. "Incidental take" happens when birds are accidentally killed by things like power lines, wind turbines, or the oil or gas ponds with toxic drilling fluids. FWS has sometimes issued fines, but also worked with industries to minimize risk by installing netting over ponds, for example. About 90 percent of the cases tracked by the National Audubon Society have been related to the oil and gas industry. 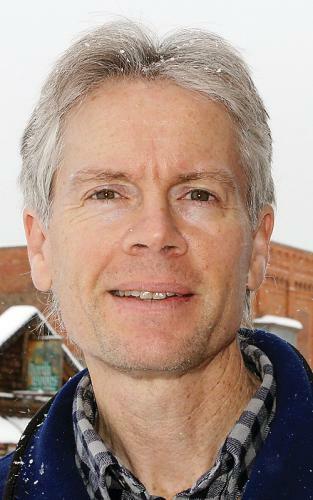 Many industry groups applauded the move; Lowell Rothschild, an environmental lawyer with the law firm Bracewell, which has represented oil and gas industries for more than 20 years, told Petterson the law was too broad and is "difficult to comply with and it's also difficult to equitably administer." Environmental and conservation groups disagreed, saying that the ability to assess fines over incidental take has forced companies to make changes that could protect birds. On May 24 a coalition of environmental groups filed suit, challenging the change to the law. The plaintiffs include the Audubon Society, the American Bird Conservancy, the Center for Biological Diversity, the Natural Resources Defense Council and Defenders of Wildlife. "Migratory birds are important ecological and economic drivers," Patterson reports. "Each year, birders spend an estimated $41 billion on trips and equipment. Birds are the proverbial ‘canary in the coal mine,’ and also literal ones. As ecological indicator species they inform us when environmental conditions have changed." 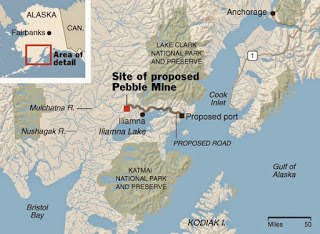 Yet another investor has pulled out of the proposed Pebble Mine, "a controversial gold and copper mine near rich salmon fishing grounds at Alaska’s Bristol Bay," report The Washington Post's Juliet Eilperin and Steven Mufson. First Quantum Minerals Ltd. had "pledged $150 million over the next three years to fund the permitting process, in exchange for a 50 percent share in the project" with Northern Dynasty Minerals Ltd.
"Northern Dynasty, which has no investments aside from the Pebble Mine project, received a boost with President Trump’s election and the confirmation of Environmental Protection Agency Administrator Scott Pruitt," the Post notes, adding that the company didn't respond to a request for further comment after its announcement.